SUPER HERO-CAPE…easy enough to make for Christmas yet.. It is a tiled PDF so I have included directions for you to print it on your home computer…if you cannot get it to print bring it to an Office Max or Depot and they can help you, show them this email as proof you have permission to run a copy of it…. When printing the cape from the pdf in acrobat. Overlap enter .5 this will overlap your papers so that it will make it easier to assemble your cape. 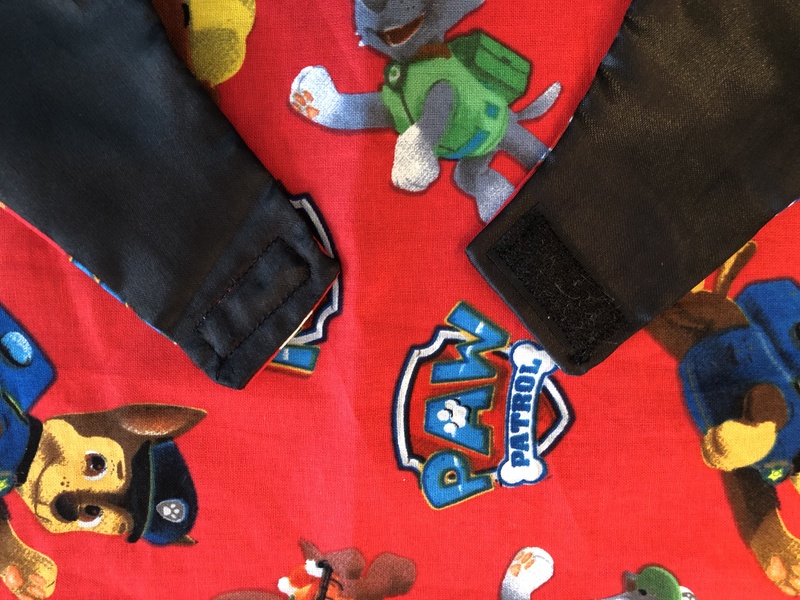 The grey on the pattern is a 1/2″ seam allowance. 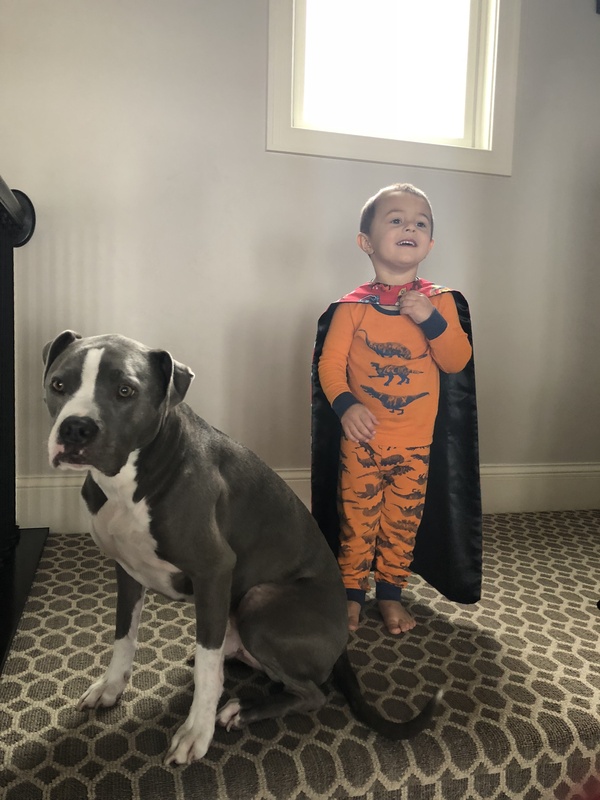 Sorry about Jeter…he is the ultimate photo bomber… Send me a pic of your little Super Hero…Little Man and I would love to see them!!! Love the pajamas!! Dinosaurs are the best!! The cape is truly great but i LOVE Jeter! Thank you so much. You are so generous with your ideas and time to follow through with our requests. We really appreciate it. 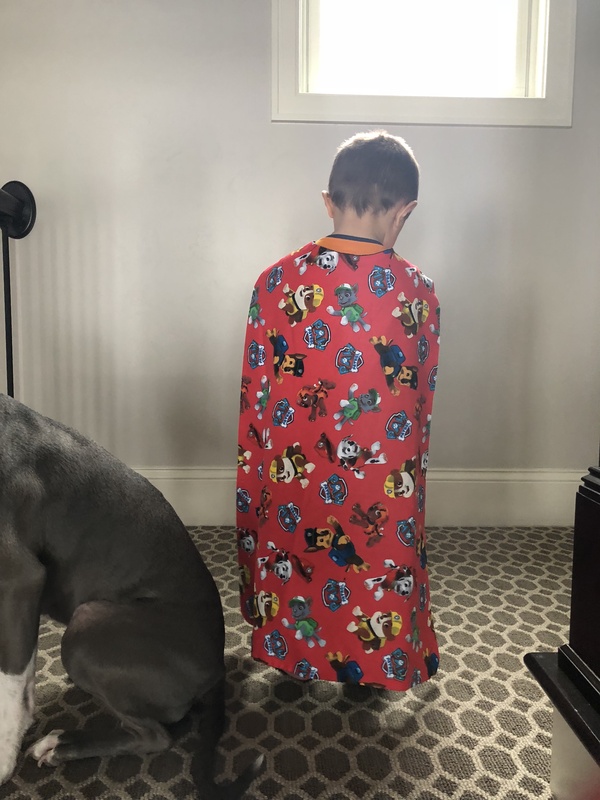 The cape, and boy wearing it, are cute, but don’t ever apologize for Jeter getting into the photos, he is one handsome guy, and most of us have cats or dogs that we love. Thanks for your generosity in sharing the pattern, and all the many other blocks and patterns that you share. This is so cute… and it looks like he loves it. We made a whole set of capes along with wrist bands and masks for our grand daughter and grand son s couple of years ago. They still wear them. Thank you. Think I will make one or two for Christmas. These are great! 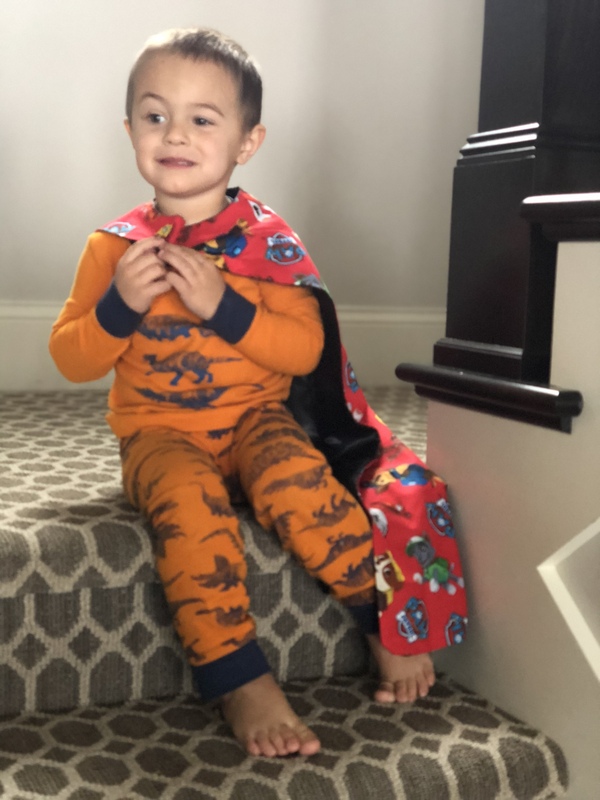 such a cute cape & cute ‘little man'”:) Will send photo if our youngest grandson ever stay still long enough for a photo!! !